The complete I Can Read [我会读］series comprise of 5 levels. It use a progressive approach to aid parents in the teaching of chinese language to their kids. 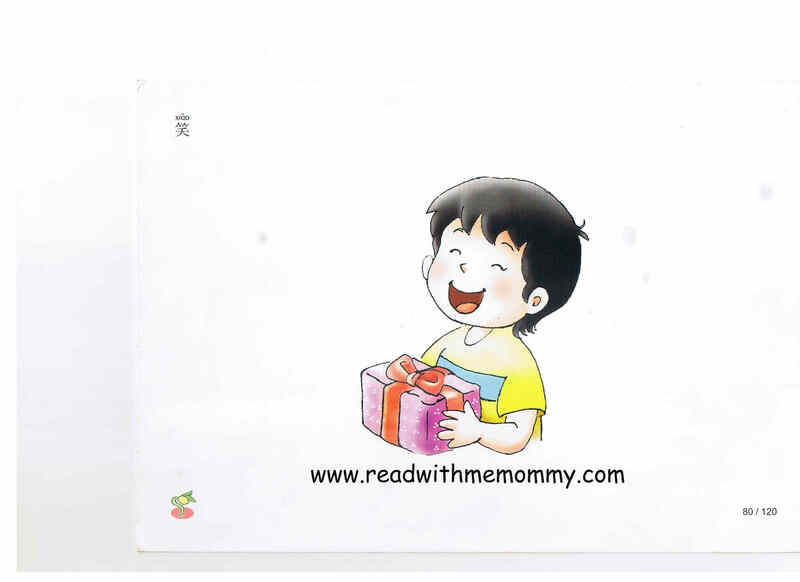 Level 1 focuses on teaching basic words (生词), Level 2 introduces the child to simple sentences (句子), Level 3 teaches the child commonly used word in various scenarios (简单的书), while Level 4 and 5 are short stories (故事). All 5 Levels are all available from our store. What does Level 1 (Big Flashcards) comprise of? This set comprises of 130 Big Flashcards, measuring 25cm by 17.5cm. Each card comes with picture on one side and chinese characters (in red) on the other. 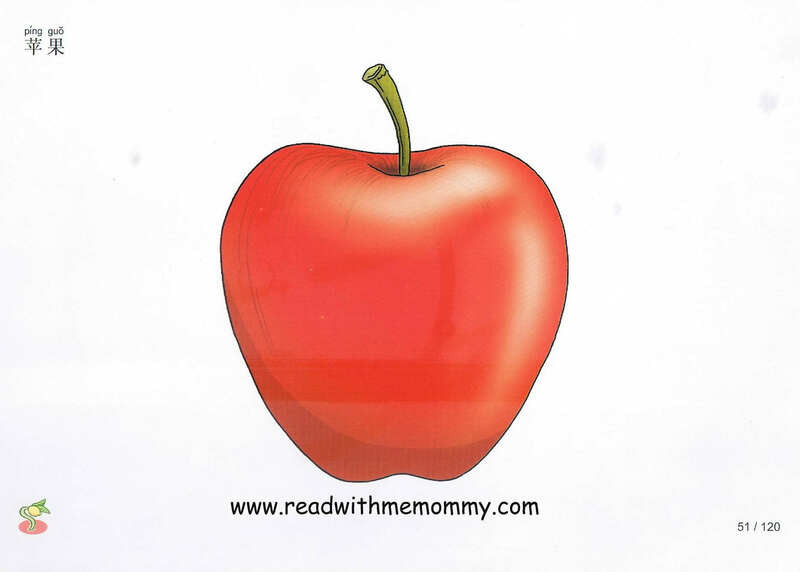 The big font size helps the child to see clearly and more easily. Words and pictures were separated to ensure 100% focus on the words. 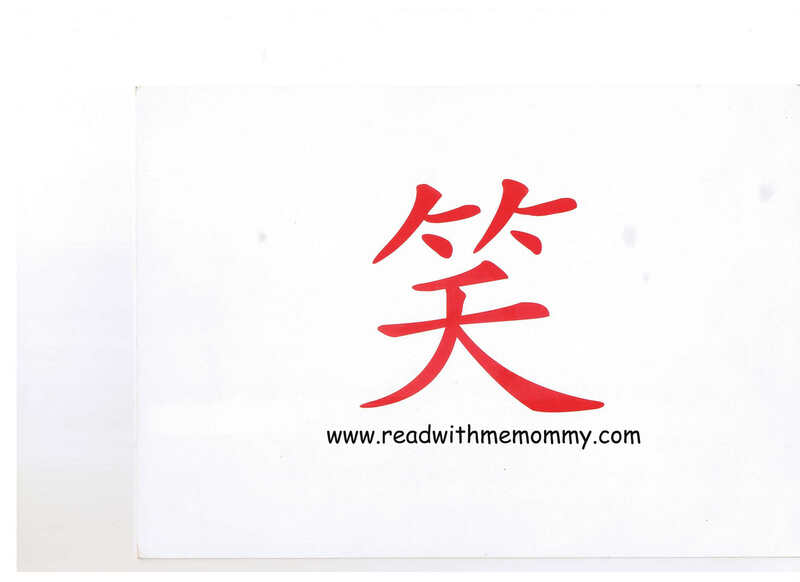 Hanyu Pinyin is placed on the back of the card for parent's reference. 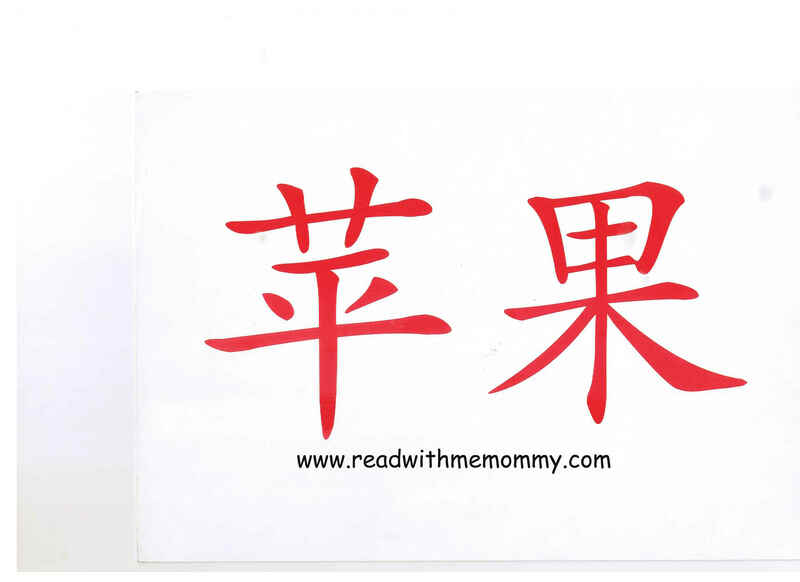 There are no hanyu pinyin with the words to prevent the child from over-reliance on it. Also included in this volume are 10 flashcards. 我，你，他，得，有，会，在，用，要，是。These are commonly used words that appear in almost every sentence. 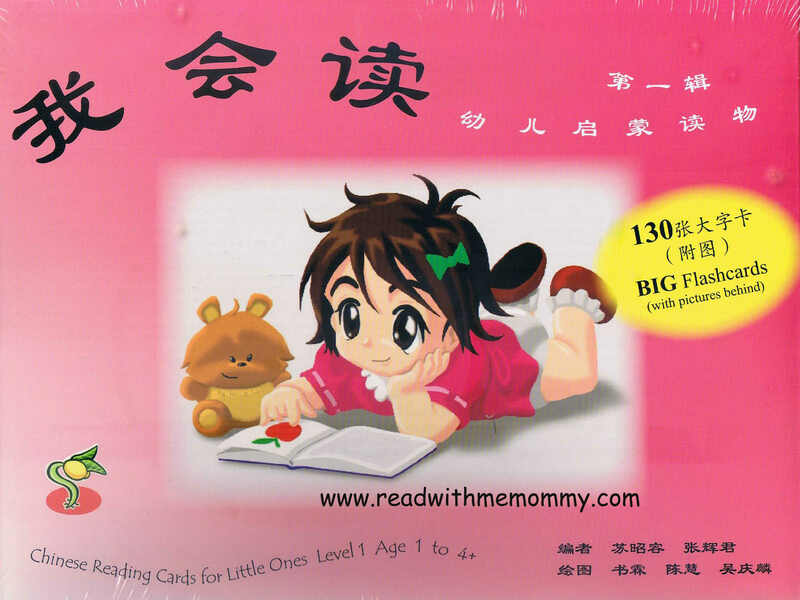 For parents who prefer book form instead of flashcards, you can opt for I Can Read [我会读］Level 1 (12 books + 167 flashcards). The contents are similar, except the 10 words mentioned above are not included in Level 1 - Book Version. Nonetheless, these 10 words will be repeated in Level 2.